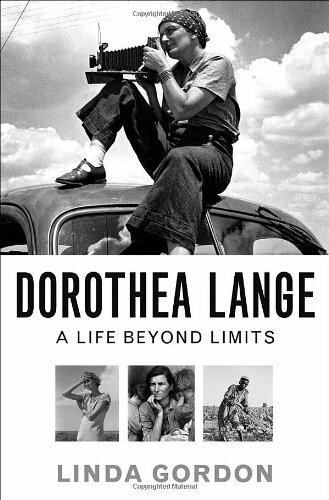 Dorothea Lange’s photographs define how we remember the Depression generation; now an evocative biography defines her creative struggles and enduring legacy. We all know Dorothea Lange’s iconic photos—the “Migrant Mother” holding her child, the gaunt men forlornly waiting in breadlines—but few know the arc of her extraordinary life. In this sweeping account, renowned historian Linda Gordon charts Lange’s journey from polio-ridden child to wife and mother, to San Francisco portrait photographer, to chronicler of the Great Depression and World War II. Gordon uses Lange’s life to anchor a moving social history of twentieth-century America, re-creating the bohemian world of San Francisco, the Dust Bowl, and the Japanese American internment camps. She explores Lange’s growing radicalization as she embraced the democratic power of the camera, and she examines Lange’s entire body of work, reproducing more than one hundred images, many of them previously unseen and some of them formerly suppressed. Lange reminds us that beauty can be found in unlikely places, and that to respond to injustice, we must first simply learn how to see it.